Ubisoft announces the second phase of their Pilot Program. 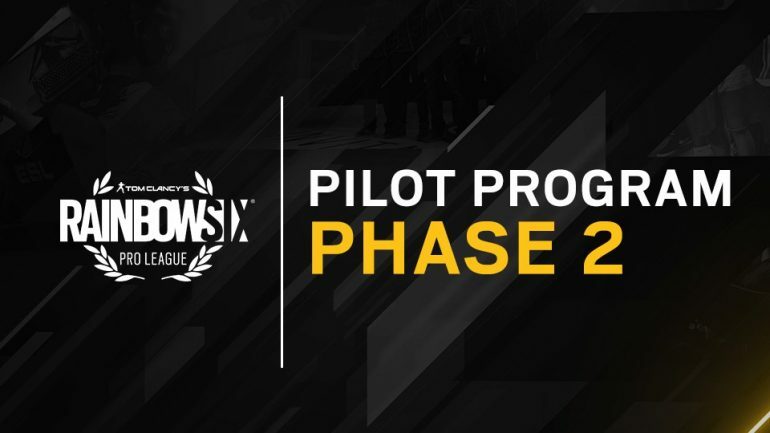 A recent news update on the official Ubisoft site indicates that the company is launching the Rainbow Six Siege Pilot Program Phase Two. The second phase of the Pilot Program launches in June 2019 and lasts until May 2020, according to the post. Players may recognize the Pilot Program from this past year of Siege. Ubisoft launched the Pilot Program in order to provide some stability for the esport overall, as well as to participating teams and their rosters. The program introduced revenue sharing to Rainbow Six Pro League, which centered on teams getting a share of revenue from in-game Pro League cosmetic items bought during the program’s life cycle. In addition to the introduction of revenue sharing, Ubisoft also announced changes in the format of the Pro League structure to include two Pro League seasons each lasting six months geared toward player comfort, according to the past post. Phase Two will look to iterate on the strides made in the initial year of the Pilot Program. Ubisoft has detailed the goals of Phase Two, which will help to expand the program and further promote the growth of the esport. One of the major goals of Phase Two is to open up the program to 16 teams in order to support more teams, according to Ubisoft. Phase Two will include the revenue sharing aspect of the initial program, which has a few layers. Ubisoft divides 30 percent of all in-game Pro League cosmetic sales among the 16 teams enrolled in the program. There is also the option to purchase team-specific cosmetics. When purchasing team-specific cosmetics, 30 percent of proceeds go to the team and 30 percent of those team proceeds are divided between players, according to Ubisoft. The post goes on to list the Road to S.I. event will be returning. Ubisoft will set aside 30 percent of the Road to S.I. revenue for the Six Invitational prize pool. From there, “when a Pilot Program team wins prize money at the Six Invitational, the portion of that money funded by Road to SI event revenues will be split evenly: 50% to the organization and 50% to the players,” according to Ubisoft. Also included in the post are the application guidelines, which contain several categories of requirements. While the list is daunting, it seems that Ubisoft has compiled these guidelines to help organizations better represent themselves during the application process. Ubisoft even informs applicants that the purpose of the lengthy process is to get a better idea of the organization’s motivations for joining. The application deadline for the Pilot Program Phase Two is April 15. It should also be noted that the Pilot Program Phase Two aims to help to stabilize the esport by providing more security and revenue flow in an organic way. Clearly Ubisoft saw success from their first year of the Pilot Program, so it makes sense that they would continue to capitalize on this model. Another interesting idea to entertain is how this program would work if the rumored shift to a franchise model comes to fruition. For now, it’s good to see the program continue to give players the opportunity to directly support their team of choice in order to stabilize and support the esport.